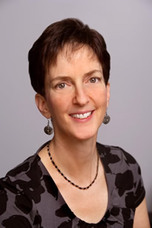 Dr. Shelley Epstein is a 1985 graduate of the University of Pennsylvania School of Veterinary Medicine. Two days after graduating, she began working at Wilmington Animal Hospital and has been there ever since. She has been a co-owner of the hospital since July 1993, and exclusive owner since July 2004. Dr. Epstein is intensely dedicated to maximizing the health of dogs and cats. In addition to her expertise in medicine and surgery, in 1995 she began pursuing an interest in complementary and alternative medicines. In February 1996, she became certified in veterinary homeopathy by the Academy of Veterinary Homeopathy (AVH). She has since served as President of the AVH. Dr. Epstein has been influential in introducing an integrated medicine approach at Wilmington Animal Hospital. This enables the practice to utilize all options available for patients, removing limitations that might otherwise result in chronic debility or euthanasia. Willmington Animal Hospital does minimal vaccinations (monovalents parvo, distemper-parvo, or rabies for pups, titers for dist and parvo later, and 3-in-one once then rabies for cats) and promotes raw diets. Dr Epstein offers homeopathy, and there are two vets who do acupuncture. Chiropractic is also offered.